If you’re entering first year on UBC’s Okanagan or Vancouver campus, you’ll want to register for Jump Start. It doesn’t matter if you’re a domestic or an international student, whether you plan to live on or off campus, Jump Start can help you ease into life at UBC. 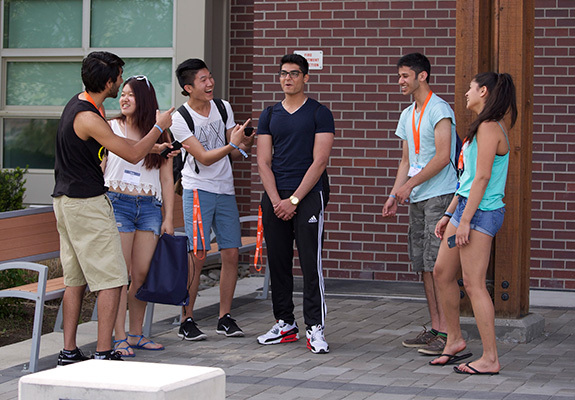 Jump Start is a week-long program designed to introduce you to the university, to let you meet your faculty, and help you make new friends on UBC’s Okanagan campus. On August 24 and 25, you’ll have a chance to move in and get settled. 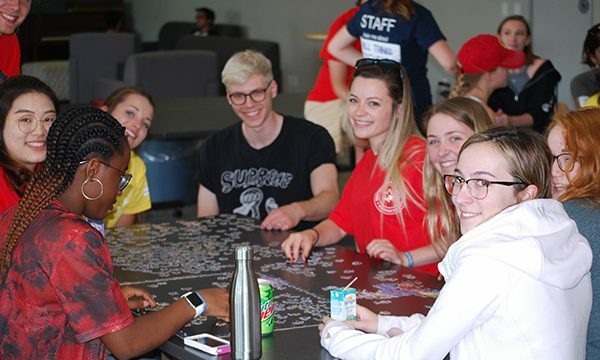 From August 26 to 30, you’ll take part in workshops and fun activities that not only prepare you for the academic year, but also help you create your community at UBC. By the end, you’ll be well on your way to feeling at home on campus and in Kelowna. 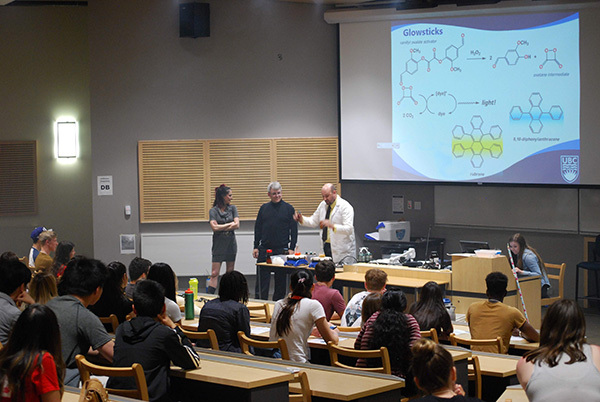 Jump Start is a week-long program designed to introduce you to the university, to let you meet your faculty, and help you make new friends on UBC’s Vancouver campus. 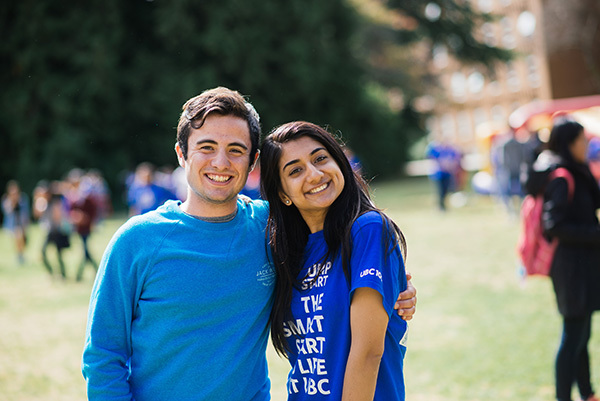 As a Jump Start participant, you can start creating your community on campus and developing a clear idea of what it takes to be successful at UBC. Best of all, you’ll have the chance to do it all before classes begin. If you plan to live on campus, your Jump Start experience will run from August 24 to 30. If you plan to live off campus, your Jump Start experience will run from August 26 to 30. Not sure what your living arrangements will be? No problem! You can register now and decide later. 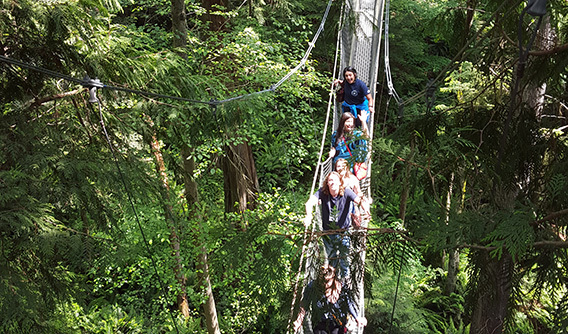 Registration for Jump Start on UBC’s Vancouver campus closes on July 8, 2019. Learn more and register today. We can’t wait to meet those of you who have registered for Destination UBC on the Okanagan campus and the Destination UBC Aboriginal Student Welcome on the Vancouver campus. Hundreds of newly admitted students from all over Canada will be coming here to celebrate, explore UBC, and start preparing for life after high school. 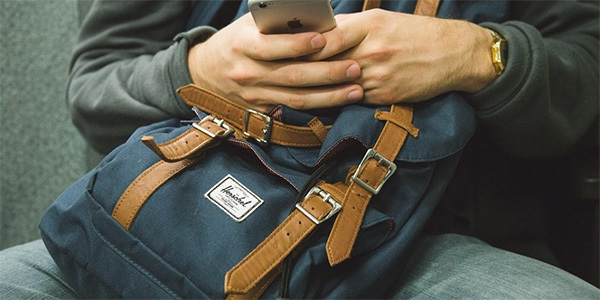 Your Destination UBC confirmation package includes a list of important personal items that you’ll want to bring. 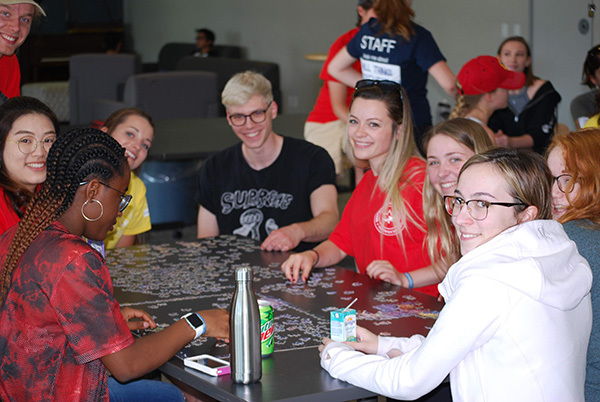 There will be lots of indoor and outdoor games, plus activities like yoga, running, and walking tours, so be sure to pack the clothing and footwear you’ll need. If you play an instrument, bring it along too. 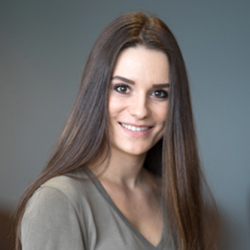 Above all else, come with a positive attitude ­– and we’ll take care of the rest. What if I’m registered as part of the travel reimbursement program? Your register for Destination UBC includes an electronic package that outlines the next steps for booking your travel. In the meantime, you can review the How will I be reimbursed? 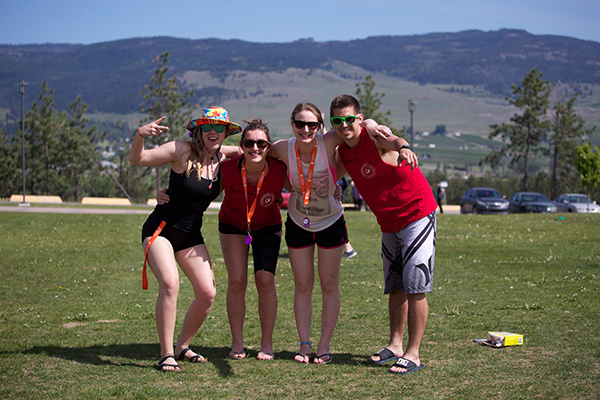 details for your campus (Okanagan or Vancouver) online. If you have any questions or concerns, just email us at destination.ubc@ubc.ca. Follow along on Snapchat, and use the #destinationubc hashtag to share the beginning of your UBC story and find other students on Twitter and Instagram. 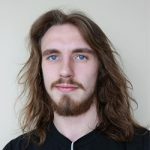 If you’re on the Okanagan campus, we have a Facebook group too. Who knows – you might make a few friends before you even arrive! Spring is here, and that means that Destination UBC, at the Okanagan campus, and the Destination UBC Aboriginal Student Welcome, at the Vancouver campus, are right around the corner. 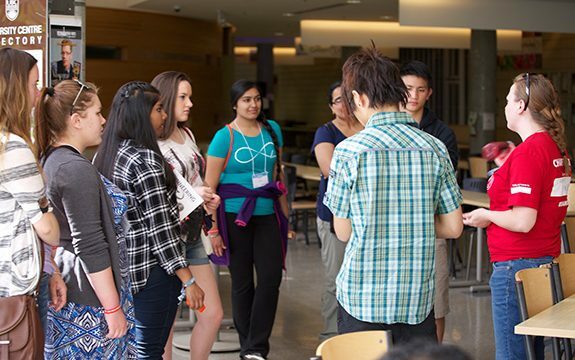 This is your chance to experience university life on campus, make new friends from across Canada before you start classes in September, and discover why UBC is the right place for you. If you’re a First Nations, Métis, or Inuit high school student in Canada, join us a day early on the Okanagan campus for the Indigenous Welcome. Learn about your degree and have your questions answered by current students. 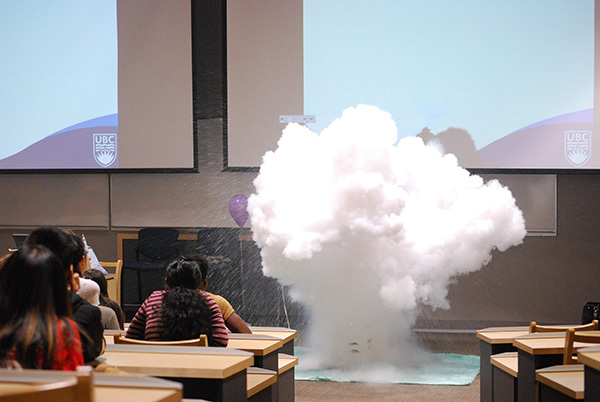 Attend a lecture – and maybe even witness something cool. Explore your campus before classes begin. 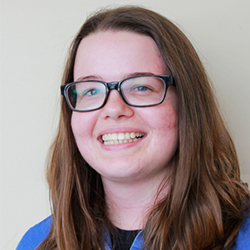 Get ready for university in a supportive and inclusive community. 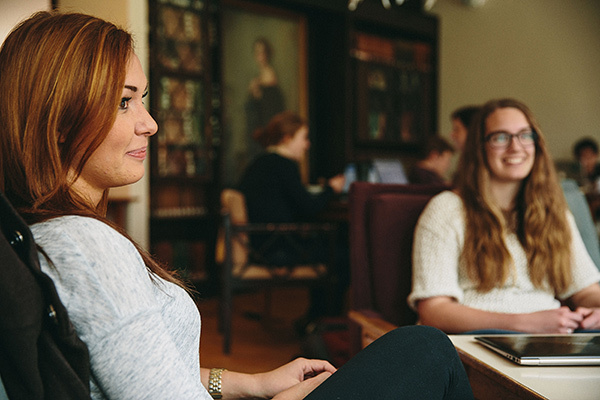 Hang out in residence and get a feel for life as a first-year student. Please see your email invitation for registration details. Space is limited and registration closes on April 26 – so register soon to avoid disappointment. Find out if you’re eligible for a travel reimbursement and secure your spot. If you’ve received an offer of admission from UBC, we invite you and your family to join us at a UBC Welcomes You event to learn more about becoming part of our campus communities. learn about the housing, financial assistance, and student supports that are available to you. Our UBC experts are hitting the road next month! 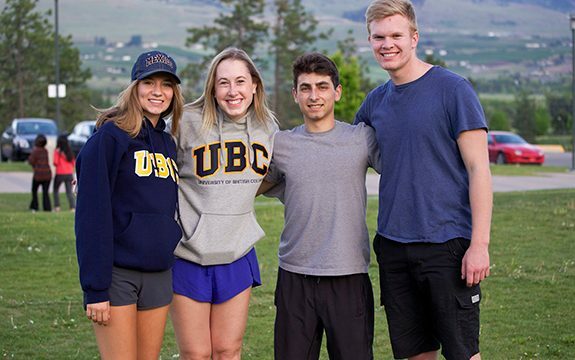 They’ll be visiting Edmonton, Calgary, Winnipeg, Ottawa, and Toronto in April to connect in person with students who have received an offer of admission to UBC for September 2019. 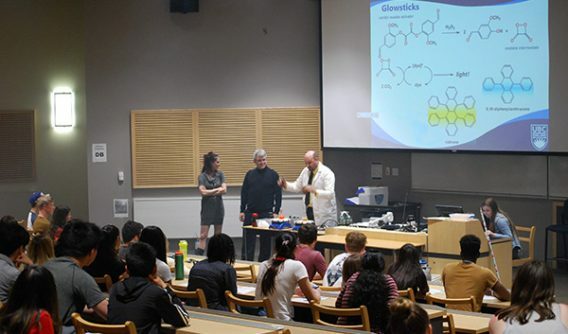 For details on UBC Welcomes You events in your area and other ways to connect, check out our Visits in Canada page and click on your province. 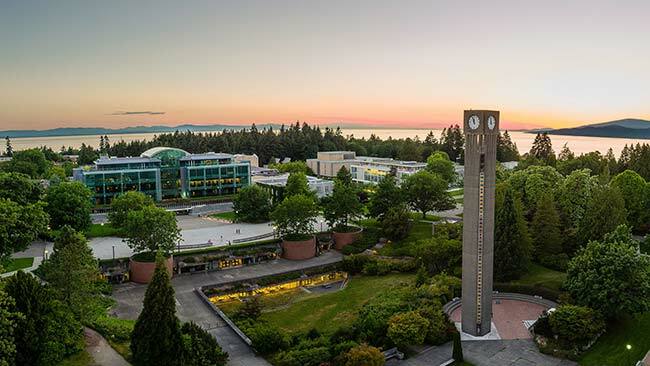 You’ve been admitted to UBC, but why wait until the fall to visit campus? 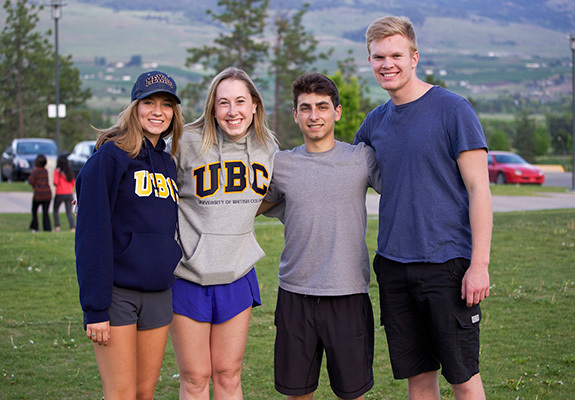 If you want to get a jump start on university life, or you still need some help making up your mind, spend a weekend with fellow admitted students at Destination UBC. You may even be eligible to have your travel costs reimbursed. Join us on the campus you’ve been admitted to – in Kelowna, on the traditional territory of the Syilx Okanagan Nation, or in Vancouver, on the traditional, ancestral, unceded territory of the Musqueam people. You’ll take part in a weekend packed full of activities that will let you experience residence life, make new friends, get to know people within your degree, and connect you with UBC’s Aboriginal community. As part of the Indigenous Student Welcome, you’ll enjoy a special welcome dinner and have the chance to meet and mingle with current UBC students. As part of the Aboriginal Student Welcome, you’ll enjoy a special welcome feast in the First Nations Longhouse and have the chance to meet and mingle with current UBC students. 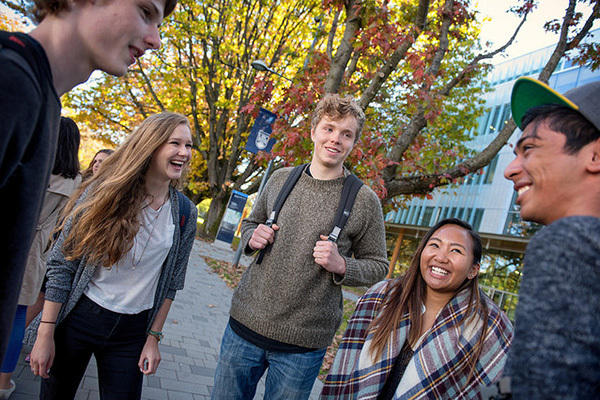 UBC will notify you of your eligibility for Destination UBC with your offer of admission. Eligible students can register now – please see your email invitation for details. Space is limited, so register early to avoid disappointment. Learn more about the travel reimbursement program to find out if UBC can cover some, or all, of your travel costs. There’s something special about the first time you step on campus as an admitted university student. It’s the first time everything becomes real. There’s no need to wait until September for that experience. Destination UBC, a weekend-long event for admitted students held on our Okanagan campus, and UBC Welcomes You, a full-day event for admitted students held on both campuses, are the perfect way to get a feel for UBC. Whether you’re still considering your offer or are already mapping out your first-year classes, these fun and informational events will help you picture life at UBC. At Destination UBC you’ll join students from across Canada, spend the weekend in UBC residence, and get a taste of student life with a full day of programming. You’ll have the opportunity to get to know your campus and faculty, and meet other students who will be starting at the same time as you. If you’re a First Nations, Métis, or Inuit high school student in Canada, join us on Thursday for the Indigenous Welcome. In addition to all of the exciting Destination UBC events, you’re invited to take part in a special day of programming designed to share relevant information and connect you with other Aboriginal students, staff, and advisors on the traditional territory of the Okanagan Nation (UBC’s Okanagan campus). Excited about attending UBC? 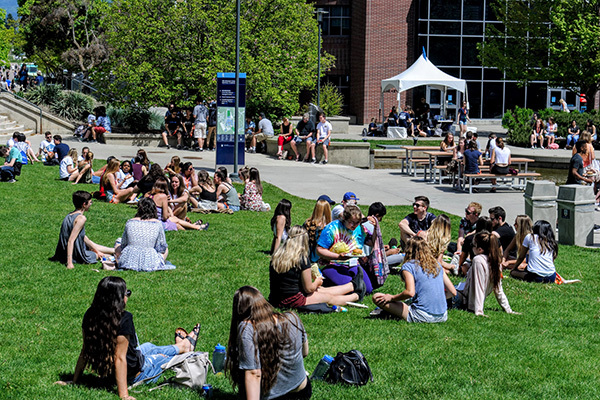 UBC Welcomes You is a half-day informational event at UBC’s Okanagan campus where you’ll get your questions answered, connect with the UBC community, and start preparing for life as a UBC student before you arrive in the fall. 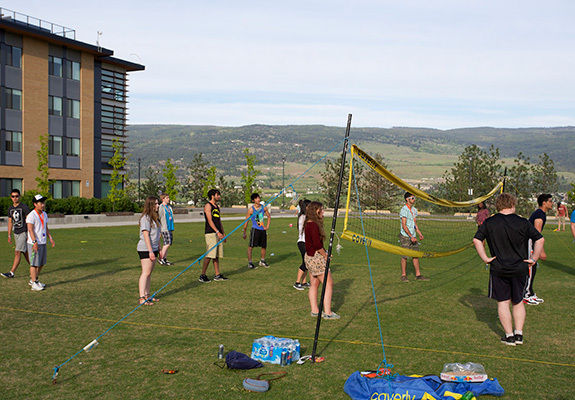 All admitted students to UBC’s Okanagan campus are welcome to attend! If you are a First Nations, Métis, or Inuit high school student in Canada, the weekend-long Destination UBC event is your chance to visit UBC’s Vancouver campus in advance and get to know the Aboriginal community. 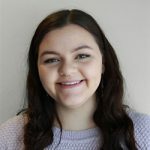 We’ll give you advice on transitioning to university life and connect you with current students in your faculty or degree who can share helpful insider tips. 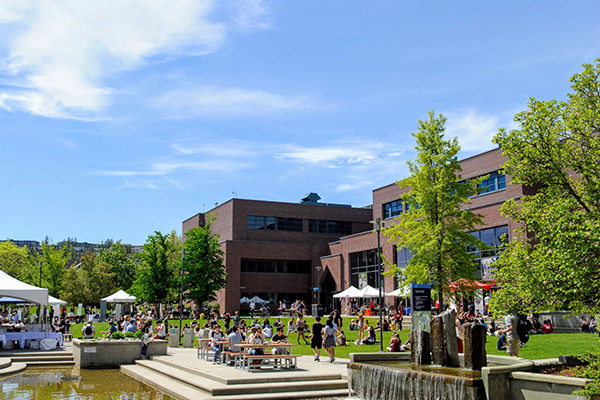 At UBC Welcomes You, you’ll spend a half day on UBC’s Vancouver campus getting your questions answered, connecting with the UBC community, and preparing for life as a UBC student. 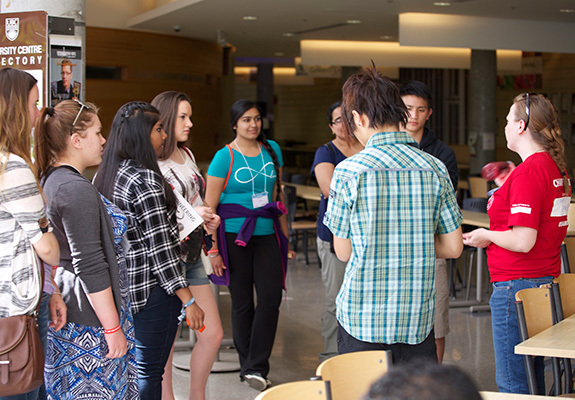 UBC will notify you of your eligibility for Destination UBC and UBC Welcomes You with your offer of admission. Eligible students can register now – please see your email invitation for details. Space is limited, so register early to avoid disappointment. If you were admitted to UBC’s Okanagan campus, or you are a First Nations, Métis, or Inuit high school student in Canada, learn more about the travel reimbursement program to find out if UBC can cover some, or all, of your travel costs.